The UK government’s draft bill on triggering Article 50 TEU, the EU withdrawal clause (the ‘Article 50 Bill’) had a surprise for some. Tucked away in the explanatory memorandum of the bill was a note explaining that the UK intended not only to leave the EU but also the separate (but linked) European Atomic Energy Community – Euratom for short. Many are concerned that this will have a negative impact on the UK energy industry and related research. In particular, as discussed here, it raises issues as regards safety checks, the ownership of nuclear material, the processing of fuel, and fusion research. While it is obviously possible for a non-EU country to have a nuclear power industry, walking away from the Euratom cooperation framework will create complications for a state which is already in it. Some have even questioned if the UK actually has to leave Euratom just because it is leaving the EU. However, in practice leaving Euratom is an inevitable consequence of Brexit. This blog post explains why – and points to the way forward to continue UK/EU cooperation in this field after Brexit. The Euratom treaty is a separate treaty from the treaty which initially created what was the European Economic Community (EEC) – now known as the European Union (EU). Equally, Euratom is a separate international organisation from the EU. But there have always been close links between the two. The founding treaties were negotiated together, and they have always had the same membership. They shared some institutions from the outset in 1958, and all institutions from 1967, when the ‘Merger Treaty’ brought together the separate Councils and Commissions which the three Communities (the EEC, Euratom and the European Coal and Steel Community) had until then. As you can see, Article 50 of the TEU applies to the Euratom Treaty. That could be interpreted one of two ways. First of all, it could mean that a Member State is free to leave the EU but not Euratom (or the other way around), if it chooses. Article 50 is the exit route for leaving either body separately, or both of them together, as that Member State desires. Alternatively, it could mean that if a Member State wants to leave the EU, it must also leave Euratom. Which view is correct? In my view, the answer is clear if Article 106a is read as a whole. For it does not only refer to Article 50 TEU, but also to ten other Articles in the TEU, and 85 Articles in the TFEU. A large number of these Articles refer to the EU institutions. For instance, Article 13 TEU describes the institutional framework as a whole; Article 14 sets out the basic rules on the European Parliament; Article 15 the European Council; Article 16 the Council; Article 17 the Commission; Article 18 the Foreign Policy High Representative; and Article 19 the EU Court. Equally, the TFEU Articles which apply to the Euratom Treaty make up most of Part Six of the TFEU (Articles 223-334 of that Treaty), which is the ‘Institutional and Financial Provisions’. They go into more detail about issues like determining the number of Members of the European Parliament and the jurisdiction of the EU courts. In practical terms, this would mean that if the UK left the EU but not Euratom, it would still have Members of the European Parliament, a Commissioner, a role on the Council, judges on the EU courts, and so on. From a legal perspective, it’s hard to believe this odd scenario was intended by the drafters of the Treaties; from a political perspective, this prospect would surely dismay those who voted to Leave. This could be addressed if the Euratom Treaty were amended to suit the UK’s intention (if it wished) to stay in Euratom but not the EU, but without such institutional complications. But it’s hard to imagine the remaining Member States being willing to do that. So the best interpretation of the current law is that a Member State must also leave Euratom if it wants to leave the EU. And even if that legal interpretation is wrong, the UK government would want to leave the two bodies at the same time, to avoid continued participation in those EU institutions that give Leave voters such graphic nightmares. The Article 50 agreement between the UK and the EU can address the details of ending the UK’s participation in Euratom, which could perhaps wind down over several years after Brexit Day. 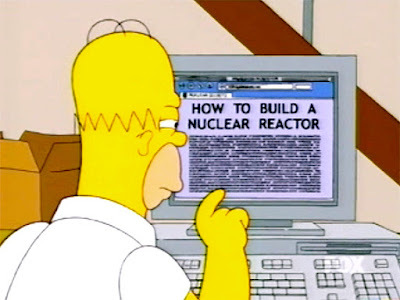 But what if the UK wanted to continue with some or all of its current participation in Euratom? This would still be possible (if the remaining EU also agreed to it). There are two main means by which Euratom enters into treaties with non-EU countries. Article 101 of the Euratom Treaty says that the Euratom Community (as legally distinct from its Member States) may enter into ‘agreements’ with non-Euratom countries. Article 206 of the same Treaty says that Euratom may enter into association agreements. A list of such treaties, with links to the texts, can be found here. In addition to general association agreements between non-EU countries and the EU and Euratom, there are several treaties just on atomic energy cooperation. These are with Switzerland, South Africa, India, Korea, and the United States. The best course forward is therefore for the UK to seek to negotiate such a treaty. Since it might take some time to negotiate, it’s best for the government to consult as soon as possible widely and openly with the industry and research community, as well as groups concerned about nuclear safety, to determine what its objectives should be in these negotiations. * Further reading: for a more detailed overview of the legal framework of Euratom, with references to further literature, see pages 66-73 of my article on EU Treaty Amendments, published in the Yearbook of European Law. Also, the reference to "EU" in the bill is shorthand, as we know, for the EU + Euratom. Had it said only "European Union", arguably that would not have included Euratom. But it would have been more accurate because no one knew we were leaving Euratom when we crossed the box on the ballot paper. Talking of which, did we all vote to leave the EEA as well? The Bill is silent on that not least because there is no mandate. I wouldn't call it "shorthand" because it has the same legal meaning as other UK law, ie referring to Euratom also. The referendum was in no way a vote on the EEA and the Bill does not cover withdrawal from it explicitly.